The eight floor Gath and Chavez building at Florida 202, a block away from Galería Mitre is another historic building downtown from Buenos Aires’ glory days. 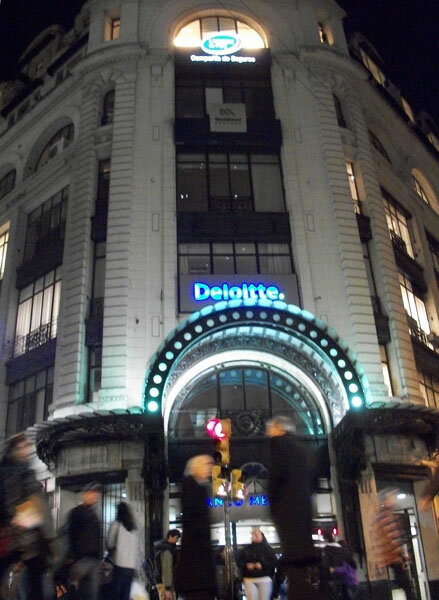 This building, inaugurated in 1908, and expanded and restored from 1912-1914, was once an elegant shopping destination, comparable to Harrods Buenos Aires. It was designed by French architect François Fleury Tronquoy and was inspired by the Parisian department store, ‘Au Printemps’. The outside is notable for its ornate glass and iron entrance and cupola on top. Inside it had a huge central skylight atrium, surrounded by wide marble staircases with decorative columns, moldings and balconies. The rooftop terrace was a popular place for downtown shoppers to have a merienda for many decades of the 29th century. Founded by Englishman, Alfred Gath and Chilean, Lorenzo Chaves, who first teamed up in 1883, it initially specialized in men’s clothing imported from Europe. 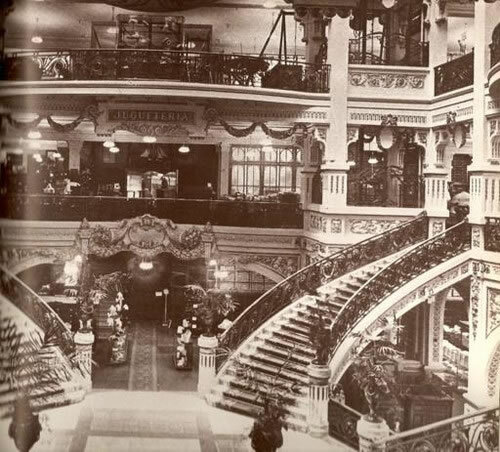 The department store was one of the fanciest shopping spots on Florida Street, connected with an underground tunnel in what used to be their annex up the street, at Peru and Avenida de Mayo. 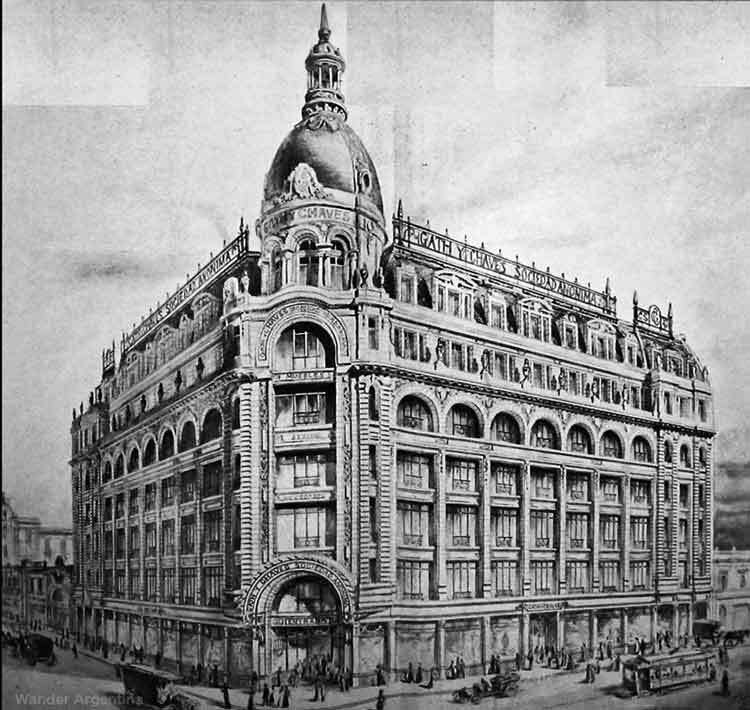 In 1922 Harrod’s (which also once had a location on Florida Street) joined forces the company and it was rebranded as, ‘The South American Stores (Gath and Chaves) Ltd’. 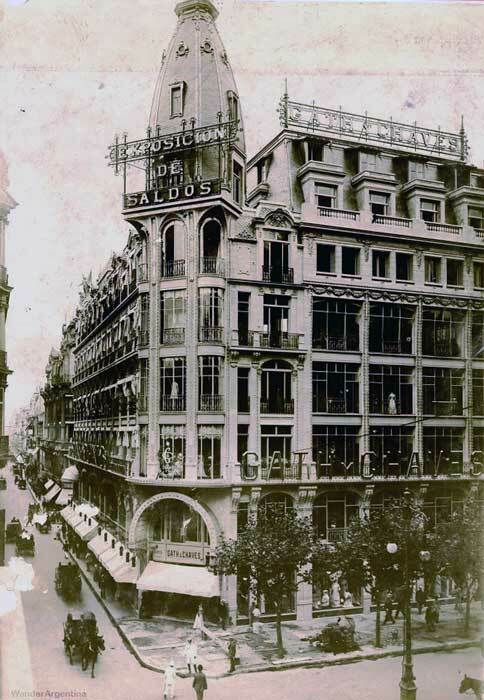 In 1925 an annex at Avenida de Mayo and Peru was opened (the location of London City Cafe today). In 1974 Gath and Chavez closed its doors. To the deep dismay of preservationists, the building’s interior was then mostly destroyed to house a bank. To get an idea of the building interiors former splendor visitors will have to travel to the beautifully conserved Gath y Chavez building in Rosario, also a Falabella. Lorenzo Chavez died a few years after selling the company in 1928. Today he rests in a tomb near the entrance of the elegant Recoleta cemetery. A plaque on his tomb from 1933 celebrates the 50th anniversary of the founding of Gath and Chavez. Alfred Gath also initially ended up at Recoleta graveyard. Buenos Aires urban legend says he had an engineer design and install a device to open the coffin from the inside, due to his fear of being buried alive. His phobia was perhaps not so irrational — legend says he became panicked the day he heard the story of Rufina Cambaceres, ‘the girl who was buried alive’ at Recoleta cemetery. Gath tested the coffin opening device a dozen times prior to his passing. Thankfully, he never had to use the device after his death, but at some point his remains were moved, as his vault at the cemetery now carries the name Gonzalez-Kondrich.